Life can get pretty hectic at times, which I'm sure each and every one of you can understand. In the past fortnight, I've moved from one flat to another, broken my laptop, been in work, been blogging and vlogging and spent hours on end attempting to tackle my dissertation, so it's safe to say I've been a little stressed lately. Whilst I'm panicking about everything (£900 to repair a water damaged mac, anyone?) and trying to get everything done on time and to a high standard, I've been feeling a little overwhelmed. Whilst the best advice is to take a break, when you have 15,000 words to write in two months, this doesn't always feel like an option. However, every once in a while, an invitation comes along that acts like a sign from the universe telling you to chill the hell out. 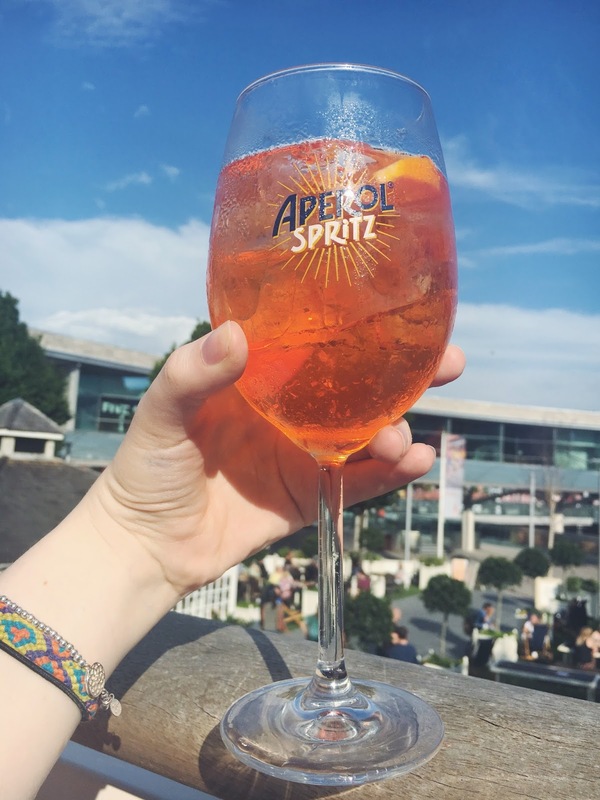 I was recently invited to the Aperol Spritz Social, held at the Clubhouse in Liverpool one, a cute little bar and restaurant which I've never actually been to before. 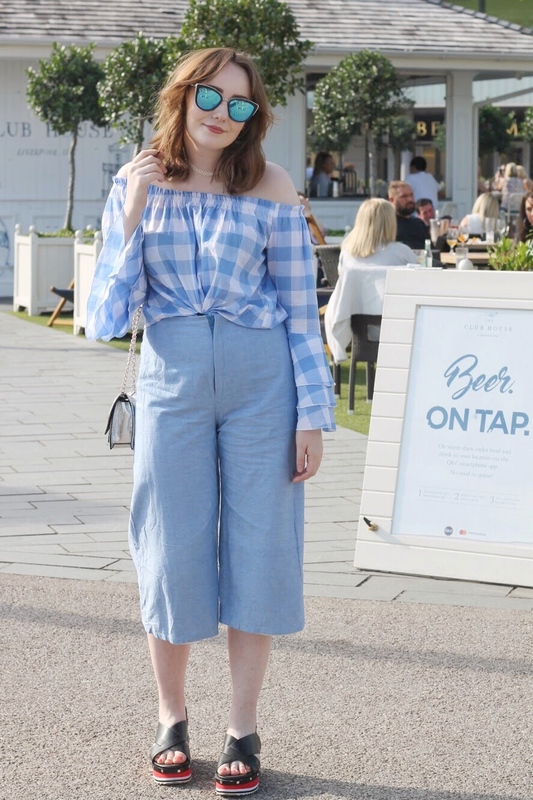 Free drinks, sunshine and the chance to catch up with some blogger pals? I couldn't really say no, could I? During the event, we got to chat to the Aperol brand ambassadors, which involved a lovely little conversation about Italy, air bnbs and dogs (what more could you ask for? 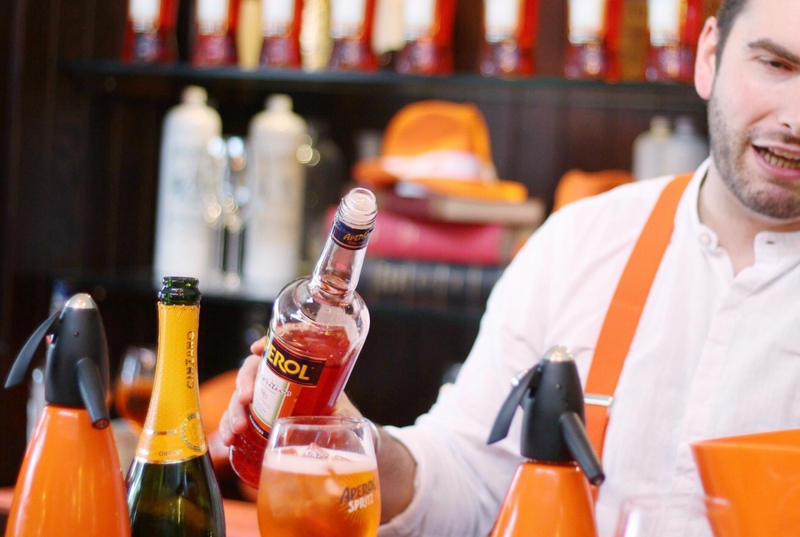 ), a live demonstration on how to make an Aperol Spritz and we even got to take part in a little Aperol Spritz challenge - which Alex from The Lipstick Lady blog nearly won! The winner got to take home a massive bottle of Aperol that was almost as big as me - imagine! Despite the travesty of not winning, we got to try a few glasses of everyone's favourite drink right now, which I admit I hadn't tried until the event.. But I'll definitely be ordering another next time I'm out for a few drinks. In fact, that will probably be this weekend, right about the time this post goes live. This Sunday sees the end of British Style Collective 2017 and me and the Liverpool bloggers (what a bunch of babes) are heading out for a drink or two once it's all finished. 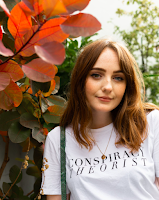 This weekend is pretty jam packed with blogging and vlogging as you can imagine, but I'm worried I'll be too worried about work to really enjoy myself. That's why I've decided to ramble about trying to find my work/life balance in this post, because honestly that's all I can really think about right now. Ideally, I'd spend equal time working and living my best life, but that's not always possible it seems. Big thank you to Alex @thelipsticklady_ for taking these outfit snaps for me! 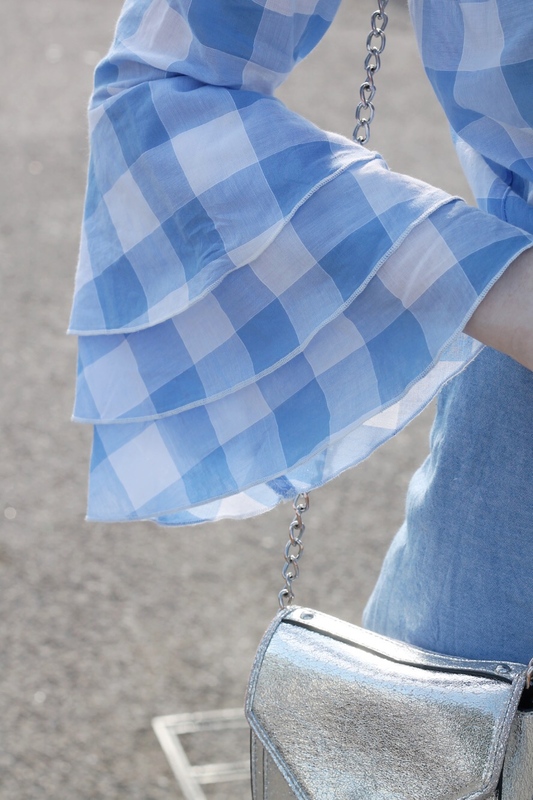 On Thursday, after a long day of working on my literature review, I spruced myself up, wearing these cute pastel blue culottes my mum made me last year, which go so well with this gingham top with the best sleeves ever. And yep, there's those sandals again from my roses are red post, and they're still tearing my feet to shreds, which means I'll be swapping these for my vans this weekend at British Style Collective! I'm only heading to the event on Friday and Sunday, as whilst I'd love to spend all three days shopping and chatting, it's important to find a balance. With blogging, uni and a job (plus freelance work on top of this), I often find this difficult. I've found planning out my week in advance really helps, and set this Saturday aside to get some serious uni work done. So if you see me slacking on my Insta stories, send me a message telling me to get back to work! Next week is an exciting week, with Beth (my best friend's) graduation and going to see our fave band Blink-182, but in between these and going to work, I'll be trying my best to complete my literature review and start cracking on with my methodology chapter, plus editing a few vlogs here and there. In a way, I find having something to look forward to in the week helps motivate me even more to get work done on time, so I'm (ideally) not stressing myself out whilst I'm supposed to be having fun. So if you've got a busy workload at the moment, try booking a day that you're really looking forward to, and use that as a goal to have most of your work done by then, then you can enjoy an Aperol Spritz or two afterwards. How do you manage to find a work / life balance? I'd love some advice!